Please join our mailing list to learn about future releases​. The 2016 Zinfandel Montecillo Vineyard (there's 5% Petite Sirah) is a classy, medium to full-bodied, elegant Zinfandel that has lots of classic blue fruits, cedar, and white pepper aromas and flavors. Aged 15 months in 25% new French oak, it has a great texture, terrific overall balance, and is a sensational Zinfandel from this great vintage. Also straight-up thrilling stuff, the 2016 Zinfandel Secret Stones included slightly more Petite Sirah (20%) and comes all from the Rockpile Vineyard. Aged 15 months in 25% new French oak, it's a full-bodied, deep, right 2016 that has plenty of intensity in its blackberry fruit and notes of ground herbs, pepper, licorice, and hints of graphite. With fine tannins and a seamless texture, drink it over the coming decade or more. ​The medium to deep garnet-purple colored 2015 Zinfandel Montecillo Vineyard has a very serious, rather broody nose of baked black plums and blackberry pie with hints of tar, chargrill, licorice and fertile loam. Medium to full-bodied, the palate sports taut, muscular black fruit and a rock-solid frame of chewy tannins, with superb freshness and a very long earth and mineral-laced finish. 268 cases produced. 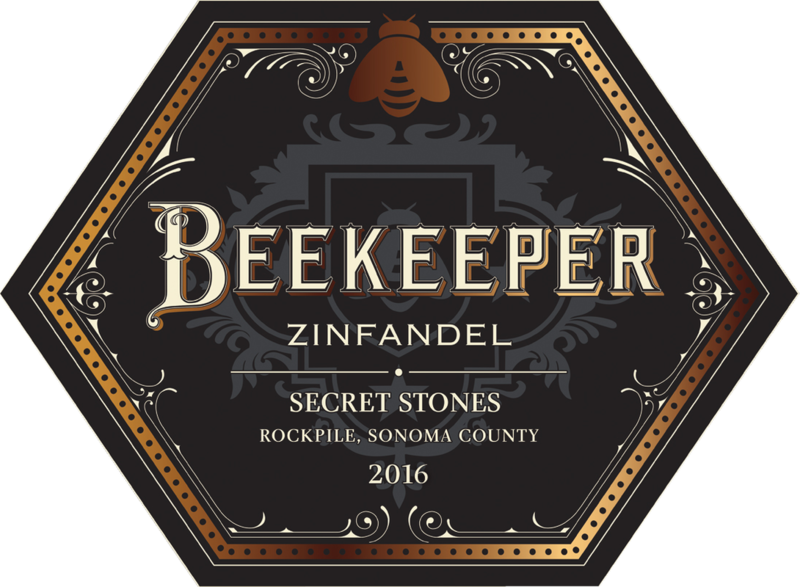 The 2015 Zinfandel Rockpile Secret Stones is medium to deep garnet-purple in color and delivers dark fruited, earthy notions of blackberry compote, baked blueberries and plum preserves with nuances of charcoal, scorched earth and espresso. Full-bodied and built like a brick house in the mouth, it has a firm structure of chewy tannins and lively acid supporting the densely packed black fruit and earthy layers, finishing long and savory. 280 cases produced. ​"Kudos to Beekeeper, as they seem to be on an impressive track of quality." "Our very high regard for Beekeeper wines seems to keep getting higher with each new release, and this Secret Stones version confirms the winery’s place as one of the very best Zinfandel makers in the business. "